One of the oldest law programs in the country, Howard University School of Law started as the Howard University Law Department on January 6, 1869 during a time of dramatic change in the United States. Today, the School of Law graduates over 150 law students per year and has nearly 5,000 active alumni. Howard University School of Law was ranked 110th by U.S. News & World Report in its 2014 law school rankings. The National Law Journal recently ranked Howard University School of Law as #22 in the nation on its "Go-To" Law School list. This ranking represents the law schools that are most successful at placing their graduates in jobs at the top 250 law firms in the United States. Howard Law is also ranked by the National Law Journal as one of the Top 20 law schools for placing graduates in non-profit and government jobs. The School of Law was created to provide legal education for Americans traditionally excluded from the profession; especially African Americans. The objective of the School of Law is to produce superior professionals, capable of achieving positions of leadership in law, business, government, education, and public service. The three guiding principles of the law school are academic excellence, leadership, and the pursuit of social justice. Signature scholarship programs - The Charles Hamilton Houston Scholars program will give full scholarships to a few students in each class. These students will be offered admission to the scholars program based on their excellent academic credentials, and their commitment to a career in social justice. The program will also offer the students special symposia, career services programming focused on non-profits, and assigned faculty mentors. Academic Success and Bar Preparation - The law school has begun a new comprehensive academic success and bar preparation program. The program includes a new pre-orientation academic boot camp, the use of academic support materials from Kaplan and BarBri, and a commercial bar preparation program that guarantees each HUSL student a commercial bar preparation course. Your gifts can be designated to support any aspect of this program. Post-graduate Fellowships - The law school assists recent graduates with securing jobs in the government sector. 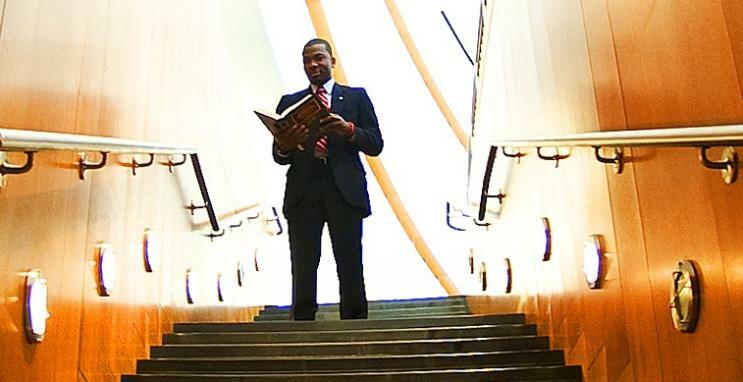 For the first time in 2014 the law school offered a Ruff Fellowship for a student from the Class of 2014 to work in the District of Columbia's Office of the Attorney General. The law school is planning to expand our fellowship program in partnership with other District of Columbia agencies. Each fellowship costs approximately $25,000/year. Moot Court Room - A $2 million campaign to renovate the moot court room to include a new spatial design to improve sight lines and acoustics, the incorporation of state-of-the art courtroom technology, and new furnishings, launched 2015. "Our program of legal education trains and prepares our students for success after law school."